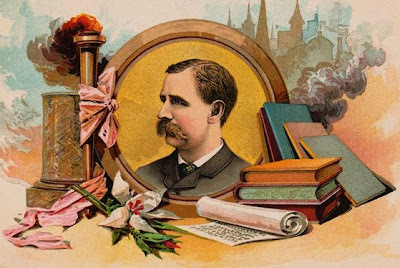 The two most popular novels of the nineteenth century, two of the only volumes to sell more than a million copies at home before century’s end—and many millions more copies abroad—were, respectively, a jeremiad against slavery and a futuristic paean to socialist economic relations. Uncle Tom’s Cabin and Looking Backward belie dearly beloved notions that ‘American Exceptionalists’ love to propound. One aspect of such chest-thumping views, beloved of ‘Gipper’ Reagan and his admirers in corporate and academic strongholds of reaction, holds that this country’s citizens have never much cared for radicalism, social democracy, or any sort of communal or collaborative possibilities. But this undeniably accurate estimate of things runs immediately into difficulties, or so the spinmasters of plutocracy would have us believe. “If people really felt that way, then why didn’t a labor party, a socialist movement, an easier political path to human rights and social equality, etc., ever take hold here?” Or, in terms popular now among hand-wringing ‘liberals’ and ‘leftists,’ “have we given up?” And, without a doubt, those are damned fine questions, interrogatories that the likes of union adherents had better find a way to answer in strategic fashion, unless they intend to emigrate or feel comfortable standing against a wall with a blindfold around their heads. Why have we trade unionists gotten our teeth kicked in a lot more than half the time? This Humble Correspondent, in both of the central series that appear in these blogs—that is to say, Writers Without Issues Have Nothing to Say and Blazing a Union Trail Through the Thickets of Time—offers evidence and analysis that makes discussing such questions plausible. In between, as in the present case, he will develop narratives that also address this matter of building a lasting movement in one of the few places on Earth where such organized inclinations to collectivity have struggled to persist. One reason for this tendency to take it in the neck, as it were, is the overwhelming predominance of individualist ideology among allowable, or ‘mainstream,’ products of popular culture. Harriet Beecher Stowe and Edward Bellamy reveal that such hegemony or outright control was not always the case in the same way that happens, almost without exception, in these days of modern times, so to say. A text-based mediation makes ready access to critical evaluation much more readily available than is the case in a heavily regulated electronic environment in which the people’s property—spectrums, wavelengths, networks, etc.—somehow, again and again, end up under the absolute command of rich gatekeepers who are well aware of their class interests in such a context. Thus, Peoples Television outlets get microbudgets at best; every medium has its own version of the Radio Act of 1927; and voluntocracy and hyper-focused ‘non-profit advocacy’ and ‘protest’ are the only apparent responses to oppression, viciousness, and diversion. As so often happens, I beg to differ with any suggestion that only voluntarism, narrowly-drawn NGO ‘missions,’ and pickets of one sort or another are our sole outlets to present what we want. In America’s book culture, which is a lot harder to manipulate or divert or co-opt than is TV or film, and in the interstices of mass media, rich veins of social democracy, radicalism, and solidarity do exist. Our job is to make use of these. Our job is to imagine and bring into practice ways of sharing and reflecting and examining such stories, sharing and reflecting and examining them in a fashion that makes organizing and solidarity irresistibly sensible, powerfully attractive, and emotionally compelling. Very recent programming can be part of such a project. Almost unbelievably, the “Hunger Games” films so far illustrates this, as did the book in its entirety. Longer ago, Susan Sarandon and Tim Robbins put forth “Cradle Will Rock,” another movie that suits our needs as writers like a tailored suit. Gore Vidal’s novel, Hollywood, is one among countless additional book titles, more or less contemporary, that could lead to potent and productive contemplation in this regard—book discussions, panels, seminars, listening sessions, dialog sessions, in a word real engagement. This essay, in addition to making this general point about using media to foster discussion and action, looks a little more deeply at Edward Bellamy’s Looking Backward. Its plot, its thematic honesty, and its structure along the fault lines that juxtapose technology and society make it a superb text for teaching to and learning from each other how we can transform the world and save ourselves and our children’s children’s children’s children’s children from the never-to-be born tragedy that our contemporary relationships—whether in Ukraine or some other far-flung or close to home flash point—practically guarantee is in the works. What follows, over the course of twenty-seven chapters, is an introduction, on the one hand, to a lovely imagining of how technique might support human betterment instead of merely serving profiteers and ‘entertainers,’ and, on the other hand, of a sojourner’s amazed interactions with people and engagement with organizations and institutions that represent different, and decidedly more elegant and sweet, ways that people might relate to each other as a result of, and in conjunction with, those technical interfaces. Music, work, housing, relaxation, games, exercise, health, practically any arena of modern human existence is present, from the most spiritual and sublime to the most material and practical. After having built up to an empirical and emotional crescendo of well-being and plenty and love, Bellamy drops a bombshell in Chapter Twenty-Eight. My gentle readers will just have to see for themselves that, after fourteen decades, this literary trick still has a ton of punch. Dear Edward makes some salient points about the maturation of events, once the groundwork is present for the development in question. That groundwork can take what seems like forever, but once laid, the transition itself can occur almost overnight. A thousand years may pass in which the developments of life do not surpass the changes occasioned by a Summer’s afternoon, and then, in the course of such an afternoon, the transformation may exceed what one would normally expect from a thousand years. Put more technically, one might state the matter like this. Following his publication and successful selling of Looking Backward, Bellamy spent most of the remaining years of his tubercular life preparing its sequel. Equality embodies in the one word title the material conditions for relationships among people that allow for our continued presence here on Earth, at least as an aggregate of billions of folks. Either we have equal rights, equal justice, equal access, and so forth, or barbaric consequences are at hand. Of course, we have, in addition to those of Mr. Bellamy, a lot of texts to choose from. And anyone who reads Looking Backward or others of Bellamy’s work will find all sorts of warts and wrinkles that seem to militate against much utility or other applicability to conversations about human progress. However, both these blind-spots and the bright insights of this novel, and of many of Bellamy’s other texts, offer immense potential in terms of our mutual grappling with how we are to ‘make ends meet,’ on the one hand, and further improve human outcomes, on the other. Just a handful of comments along these lines might be helpful to ponder. A German dissertation presents a powerful point that today’s web-happy hopeful would do well to consider carefully. The End of the Republic of the Machine: Technology and Progress in Looking Backward & Equality, sums up, “Thus, in a crucial shift indicative of Bellamy’s modern sensibility, the power of technology serves both to embody but also to destabilize and undermine his utopian vision.” Coming to grips with such paradoxes might very well be a critical step in human progress just now. A pair of British engineers echo this point in their paper, “Electrical Futures Past.” They admire Bellamy’s technical acuity—his conflation of the phonograph and the telephone, for instance. And they also extol his social vision. “Poverty, exploitation and war have been abolished, and all citizens live in fully electrified homes. … Bellamy does not specify whether the social transformation implied in his story would be facilitated by electrification or vice versa – although perhaps he says more by having the two develop in symbiosis.” These analysts then go on to affirm in no uncertain terms that technology alone obviously cannot induce social transformation of the sort that Bellamy foresaw. John Mullin, an architect and urban planner, has published a research paper that shows the profound dichotomy that distinguishes Looking Backward and Equality. In the former, the city’s resplendence is a social reflection of technical advance and ideological maturation. In the latter, the lack of necessity of centralization means that a more dispersed social condition permits urbanity to subsist throughout the countryside. Certainly, in this era of disputation about public space, about oppression designed into the ‘built-environment,’ and the constancy of ‘the wrong side of the tracks,’ such discussions as comparisons of the two volumes would elicit might spark imagination and action of potential import. A recent dissertation from the University of Texas elucidates that literally hundreds of utopian novels followed in Bellamy’s tracks. 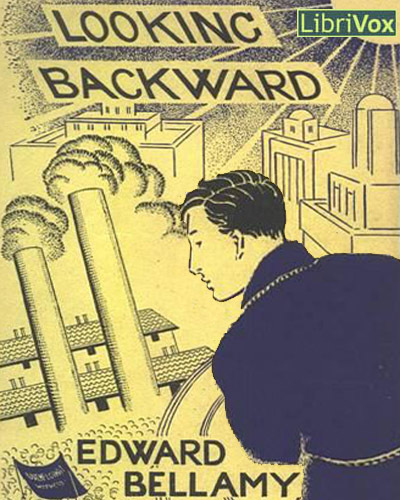 One might even see the quarter century after Looking Backward’s publication as a period in which public discourse sought to explicate and contextualize how social equality and improved public welfare might occur. That WWI and other sobering lessons of brutality and cupidity and standard operating procedures dismantled this process does not diminish its possible interest. One may, along with This Humble Correspondent, view such confabulation as part of the job of being human. Nor did Bellamy’s facilitation only apply to politics and society within the U.S. On the contrary, Looking Backward impacted places on every continent, in powerful and identifiable ways. Those Other Americans investigates the effects of the likes of Bellamy and Henry George on the proponents of trade unionism and social democracy in Australia even as the carnage of World War One eclipsed much of this impact. 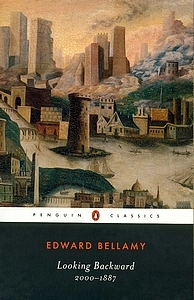 That one might find half a hundred ways of critiquing Bellamy—a lack of historical grounding, an unwillingness to deal with the social realities of color and class and gender, and so on and so forth—does not diminish the potential that his works have to ignite discussion and excite insight into our condition and what we must do to improve it. At the very least, such feasibility of thought and action might easily surpass the energy devoted to maintaining an active FaceBook presence. Not that we cannot continue to indulge Twitter habits and such, but we might sit down together and talk about the vast resources that the past might provide us to wonder how we could transform the present. All in all, a plethora of possibility inheres in the uptake of these veins of vitality and virtue from our past. What readers can rest assured will happen is that the At-Large Steering Committee will help to bring forth dialog and debate and community engagement about all of this, bringing potentiality, at least potentially, closer to actuality. In particular, we will be developing several real chances for our members in relation to such matters. At-Large will create a library of free titles—primarily of out-of-copyright materials such as Bellamy’s writings, but also occasionally including au courant materials that reside in the public domain—that are available for NWU members to download. At-Large will provide lesson plans, open-ended guidelines for programming, and, on occasion, Power-Point and other contextualizing documentation, also accessible to members and chapters interested in holding public forums and such. At least once, or a few times, At-Large will hold an online class or seminar or webcast about a particular item for members, to model the sorts of dialog and outreach and consciousness-raising that might conceivably exist in these sorts of capacitating exercises. Loads more might go here. We’ll certainly see. But, Lord willing and the creek don’t rise, all of the above will come to pass. The point is that the resources to transform the world are all about us. We just have to figure out how to deploy them and ourselves to start moving in an organized and strategic way. Folks who agree should be in touch. ‘Time’s a wasting,’ as the saying goes, and plenty of dire straits loom just ahead, both for the mightiest ships of state and for the more modest rafts and canoes with which we are trying to navigate the dangerous waters of our troubled current context.